All the products promoted at PLAST18!! BLACK MASTERBATCHES AND ADDITIVES FOR PA6 & PA6.6 – A complete range of black masterbatches and additives for polyamide compounds on PA6 & PA6.6. SILICONLUBE HD-404 – Siliconic Masterbatch on HDPE, suitable for pipeline system of outdoor telecommunication optical fiber, optical cable, electrical cable etc. FERROCLING – Cling Tackifier masterbatch for Blown & Cast film. the best choice for the cleaning of your machinery. Ferro-Plast is now the official distributor for Italy! Designed for bottle-cap application (especially for mineral waters) and technical food packaging film. All the products promoted at PLAST15!! Ferro-Plast wishes to thanks all the customers and friends that visited our booth at the PLAST15. Novoclean: liquid depurging agent for screw cleaning, polymer and colour change. Siliconlube: our complete range of silicone masterbatches. New Additives for PVC. Flame retardants, antimicrobials, UV absorber, odor-absorber and aluminium paste. Croda Incromax 300: PC processing aid. 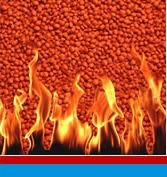 Now available in pellet form with Atmer 7650! Croda Incroflo: Speciality additives for Wood Plastic Composites. Ferroparfum - fragrance masterbatches and odour absorber. Ecozen® bio co-polyester Eco-Frendly with excellent thermal and chemical resistance. Ferro-Plast wishes to thanks all the customers and friends that visited our booth at the PLAST12. FerroFlam MB "Antimony Free" for PP V2. A new project of masterbatches. 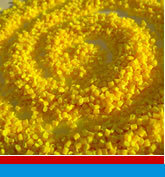 Croda’s Crodamide EBOTM as pellet anti-tack additives. IncroMax 100 for PC applications is the new additive that reduces friction in polycarbonate processing. Ferro-Plast wishes to thanks all the customers and friends that visited our booth at the PLAST09. A preview on the news we are going to present at the PLAST09!! 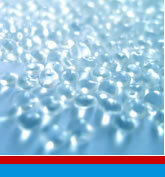 Solasorb: a new generation of UV absorbers for plastics. "Silver A10-20MO", aluminium paste. A new product more eco-compatible, odour free and solvent free. For an easier usage and a stronger silver effect. FerroFlam MCA Granule, granular melamine cyanurate flame retardant additive, that reduces the pollution and makes the production easier. Foaming Agents Ferrocell OHV e OHC, designed for the production of EPDM weather strips in the automotive field. Ferro-Plast acquires the Italian distribution of AtmerTM: antistatic, antifog, lubricant agents and pigment dispersions. Ferro-Plast dedicates to Dongjin a video message to celebrate their 40 years of activity! Ferro-Plast wishes to thanks all the customers and friends that visited our booth at the PLAST06. Ferro-Plast introduces in Italy the "IncroMold", injection moulding process aids. Ferro-Plast obtains the official distribution of the Skygreen, Skypel e Skythane from SK Chemicals (Korea). FERRO-PLAST NEWS New PETG on stream!